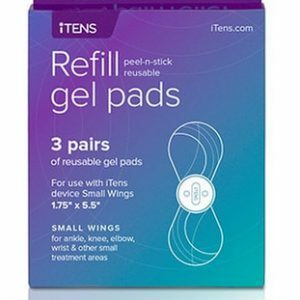 Large Wings iTENS™ Kit (Blue) Wearable Pain Relief - NEW TO AUSTRALIA. 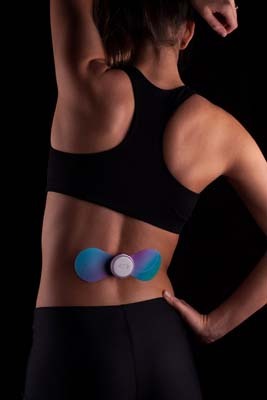 Control pain relief with your mobile. New to Australia! Control pain relief with your mobile phone. 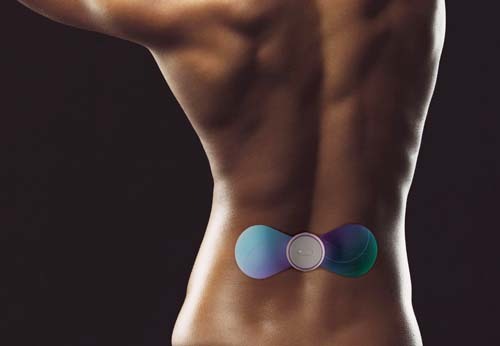 The iTENS™ merges the pain relief of TENS with bluetooth technology. App available for iPhone and Android device. The Large Wings iTENS™ gives the maximum coverage for your pain sites. The large wings are designed to provide a bigger coverage area of pain relief for back, shoulder, and other large treatment areas. 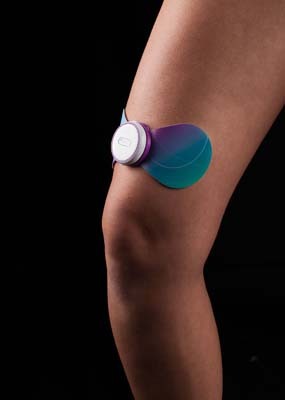 The iTENS™ will give you up to 24 hours of use per charge for continuous pain relief. The gel pads are good for 7-15 applications. 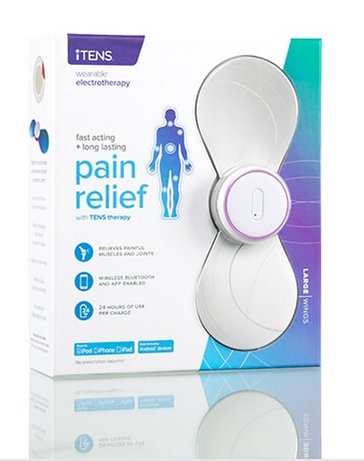 The iTENS™ is an electrotherapy device that merges modern technology with the proven results of “TENS therapy” to provide effective and lasting pain relief. 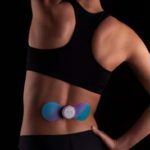 The iTENS™ harnesses the power of your smart phone, with an iPhone or Android app that wirelessly syncs with the Bluetooth based electrotherapy device. The ultra thin, lightweight and flexible wings make the iTENS™ almost undetectable under clothing. 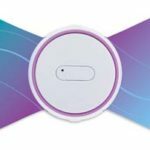 A robust selection of program options can then be controlled by your smart phone. 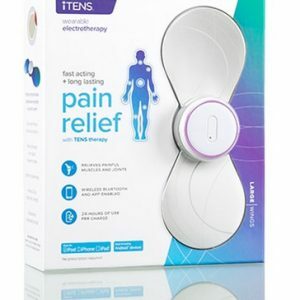 The iTENS™ deploys waveforms and other technical parameters that incorporate both of these clinical theories to provide immediate and long-lasting pain relief.